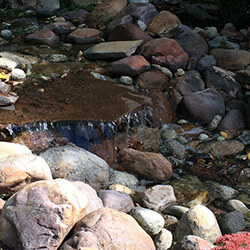 No matter what your need for landscape and lawn services in Salt Lake City, UT, may be, Step Ahead Landscaping is here to make your vision a reality. Since 1994, we’ve been providing our customers with the best lawn care in Salt Lake City, but our range of services is much wider than that. We are your one stop location for all landscape services, including construction, water, lighting, stone layout, irrigation and commercial development. At Step Ahead Landscaping, we understand the importance of designing and maintaining a landscape around your home that adds to the appeal of your home, rather than detracts from it. We pride ourselves on several important factors when handling your landscape needs and we are licensed and insured for your peace of mind, and our friendly landscapers are professional, hardworking, and dependable. 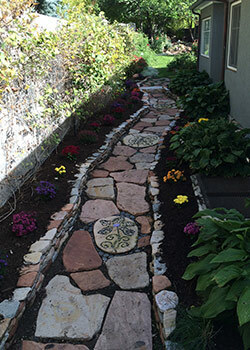 For the best landscaping and lawn care in Salt Lake City, UT, you know you can trust Step Ahead Landscaping. Give us a call at 801-272-9501 and find out why our customers choose us as their premier landscaping professional. "We hired Step-A-Head to completely re-work out backyard and side yard. This involved leveling one side and removing about 100 tons of materi..."
"I had a wonderful experience with Step-A-Head Landscaping. I called around 10 different landscaping companies and they either weren't good a..."
"Richard and his team are awesome they did a great job at my house and I couldn't be more happy." "I would give 10 stars if I could! We needed a space in our yard cleared and leveled for a play set. richard showed up for the initial estima..."
July 1, 2016 Dav W.
"Had a large Pine tree removed with some other easier trees. And of course needed to do something with the hole in the ground. Richard listen..."